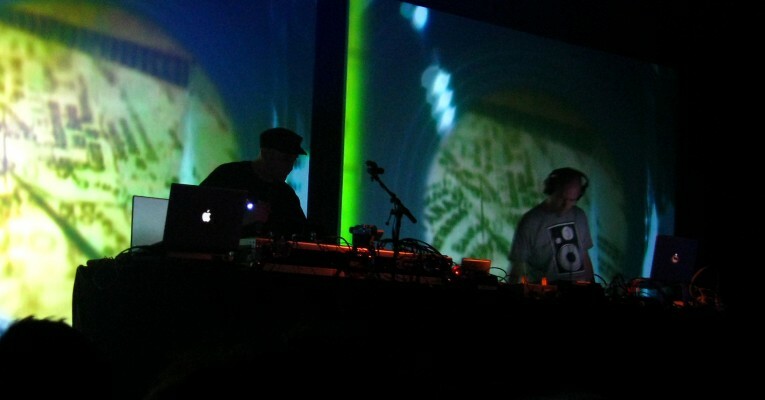 Jack Dangers is the composer and sound sculptor behind Meat Beat Manifesto. His constantly evolving musical invention has generated a long string of futuristic classics,”Psyche Out,” “Helter Skelter,” “Radio Babylon,” “Edge of No Control” and “It’s The Music.” The single, “Prime Audio Soup,” from the Meat Beat Manifesto album Actual Sounds and Voices, was featured in the sci-fi fantasy blockbuster, The Matrix and on its platinum-selling soundtrack. An acknowledged innovator in the electronic music scene, Jack Dangers continues to stretch sonic boundaries and influence new generations of sound activists. As a premier remixer, producer and sound designer, he has played a seminal role in defining tomorrows’ music today. Past production/remixing projects include: Public Enemy, Scorn, David Bowie, Orbital, NIN, EBN, David Byrne, Merzbow, Depeche Mode, Terry Riley, Tower of Power and Coil. Meat Beat Manifesto’s latest album, Answers Come In Dreams, was released by Metropolis in North America and Hydrogen Dukebox in the rest of the world, and was accompanied by a startling variety of videos created in-house by Jack. He has also made videos for Clive Barker, Tox Simian and DJ Shadow.